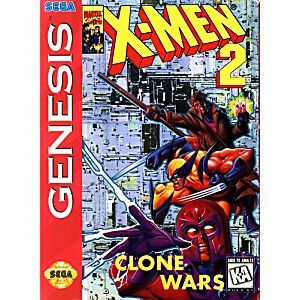 X-Men 2 The Clone Wars Sega Genesis Game cartridge Cleaned, Tested, and Guaranteed to work! Well worth the money. Challenging and fun. Very fun game, even better than the first. Never thought that I could find a better game than X-Men.... But here it is X-Men 2 clone wars! If you liked the first one, This one is a Blast! 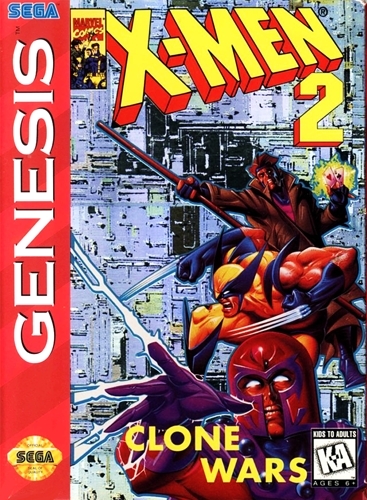 as a huge fan of the x-men animated series in the 90's this game was a must have and it did'nt disapoint. Great graphics, gameplay, levels , characters and enemies.